1. February 2019. 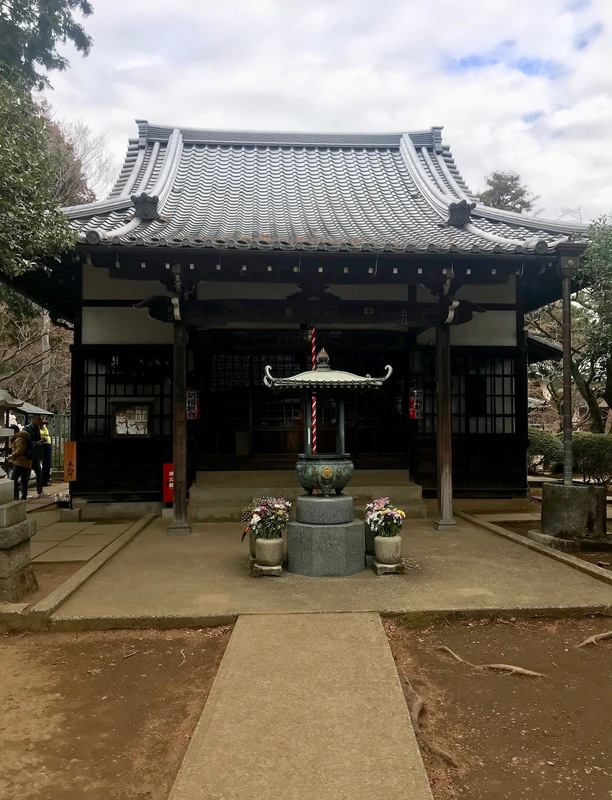 Tucked away in a peaceful, leafy Tokyo neighborhood, in many ways Gotokuji Temple is an entirely ordinary little compound. In fact, at first glance there’s literally nothing to distinguish it from any of the other billion and one bog standard temples scattered around Asia. 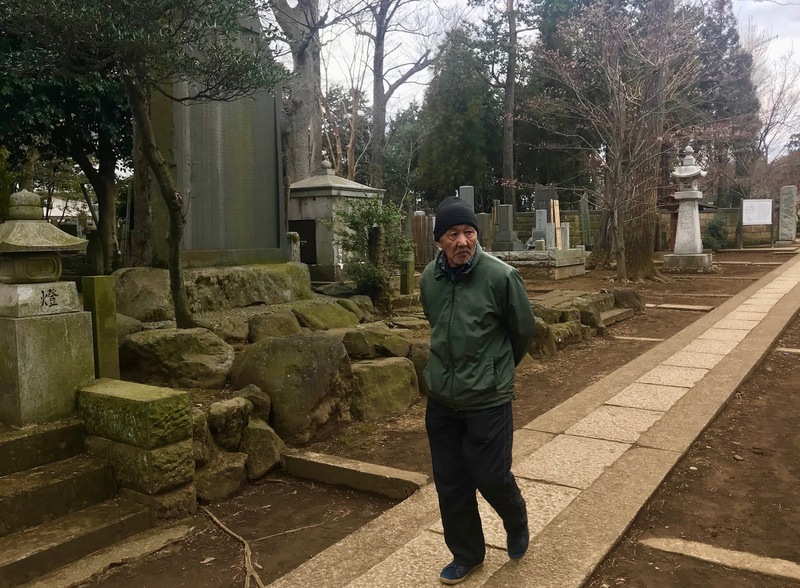 And yet Gotokuji continues to draw in thousands of dedicated visitors every year thanks to one pretty extraordinary corner that stands in tribute to a much-loved ancient Japanese legend. Yup, for many this is the Cat Waving Temple. The Cat Waving Temple (Gotokuji Temple), Tokyo. 2. February 2019. 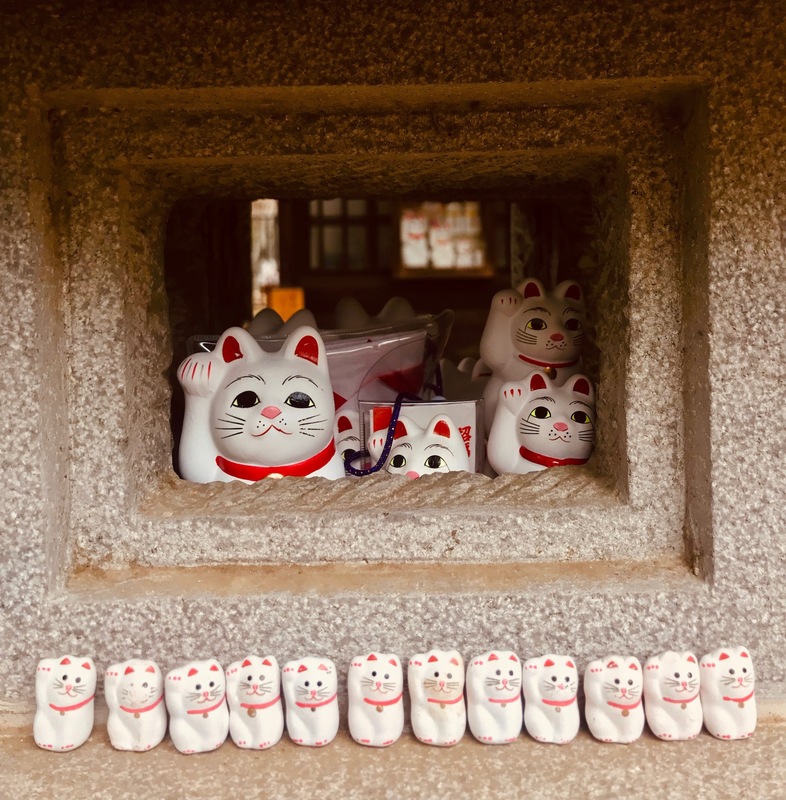 There are several versions of the old legend about Gotokuji Temple and its Cat Waving origins. The one I like is that back in the Edo Period there was a resident priest who kept a wise old cat. One day a feudal lord and his servants were passing by on their way into town when a violent thunderstorm broke out. Seeing that they were in distress, the cat ran over and waved them inside where the priest helped them to get dry before offering food and drink. The lord was so grateful he invested money in the temple and donated crops. 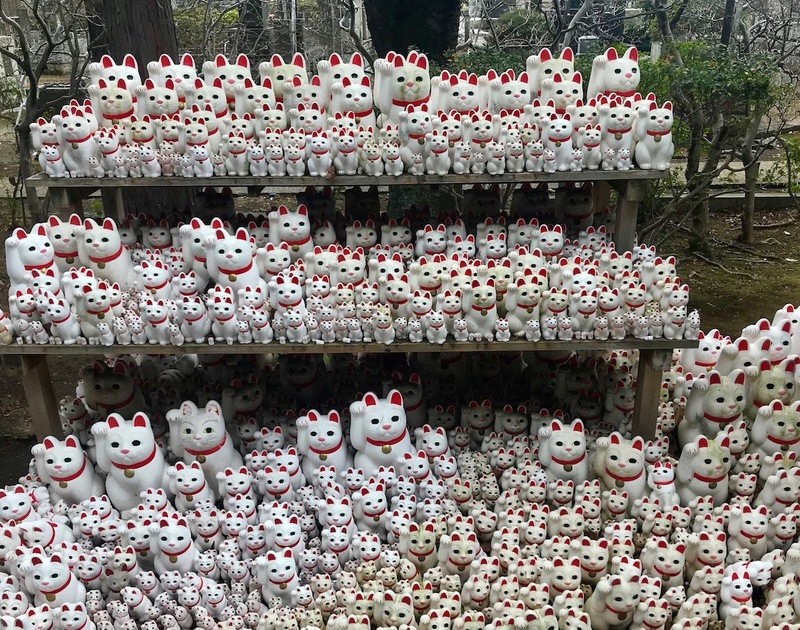 And so Gotokuji suddenly found itself elevated in both prosperity and reputation. 3. February 2019. Waving cat ornaments are hugely popular in Asia. I’ve seen them all over the place from my travels around China, Cambodia and Malaysia to Singapore, South Korea and Thailand. But I’d never known where the Cat Waving thing (known as Maneki Neko) actually came from. 4. February 2019. 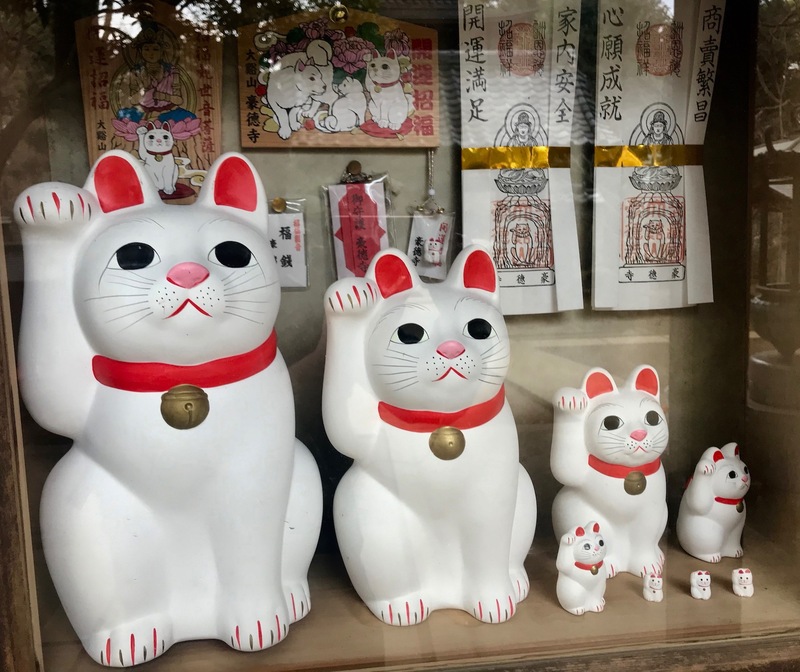 There’s a little Cat Waving shop in the grounds of Gotokuji Temple and many people who come here head inside to purchase a cat of their own. 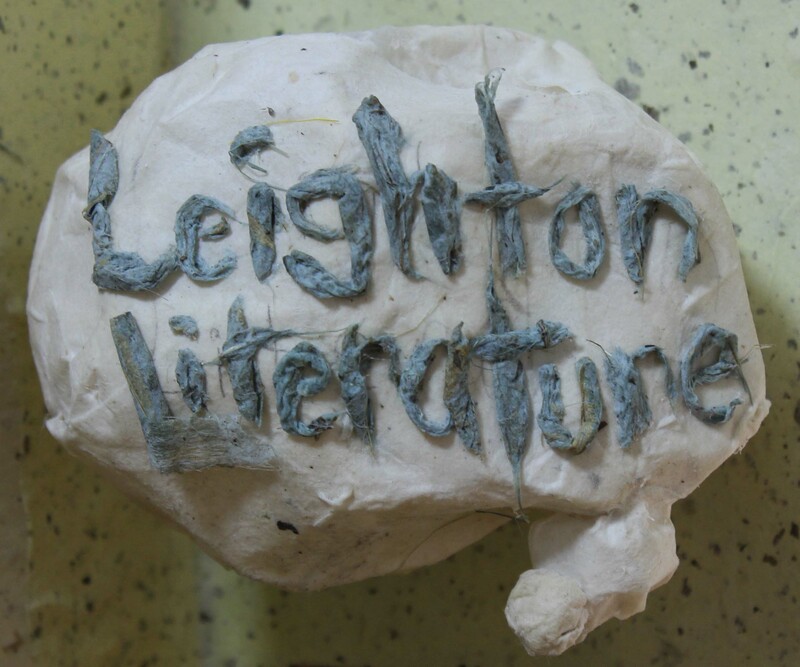 You can either take it home as a memento or add it to the temple’s huge collection. 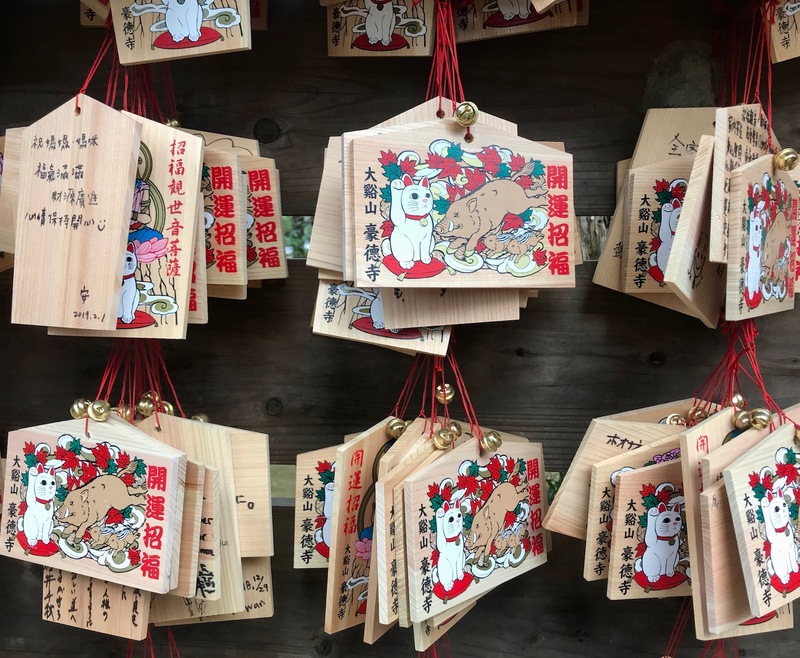 There are also cat-decorated wooden prayer tablets available. You’ll see a large board of them and its fun to flip through all the various messages written in black marker. The cemetery at Cat Waving Temple (Gotokuji Temple). 5. February 2019. 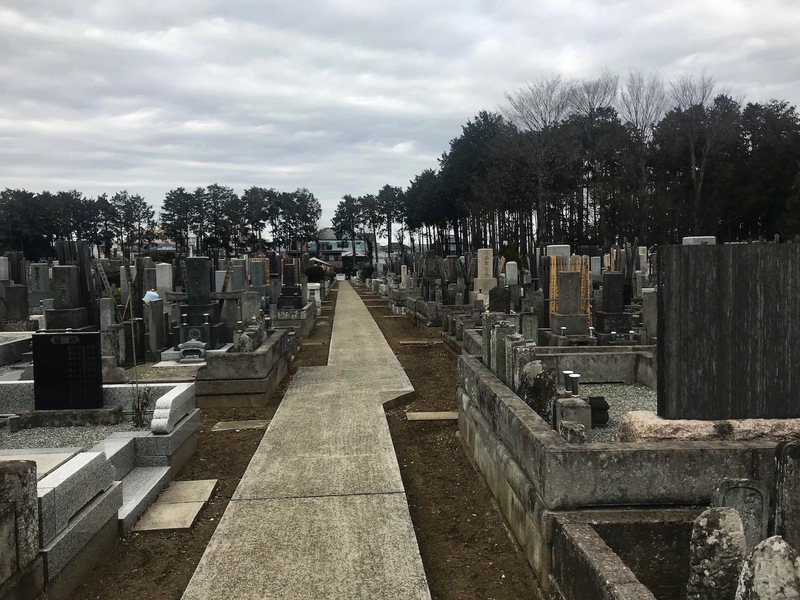 Away from all the Cat Waving euphoria Gotokuji Temple also has a large, mostly ignored cemetery. It’s a somewhat wild and unloved graveyard that in all honesty looked pretty grim on that chilly February morning. Still, it was worth a wander and good for a bit of reflection as I approached the last few days of my Tokyo trip. Cat Waving Temple (Gotokuji Temple), Tokyo. 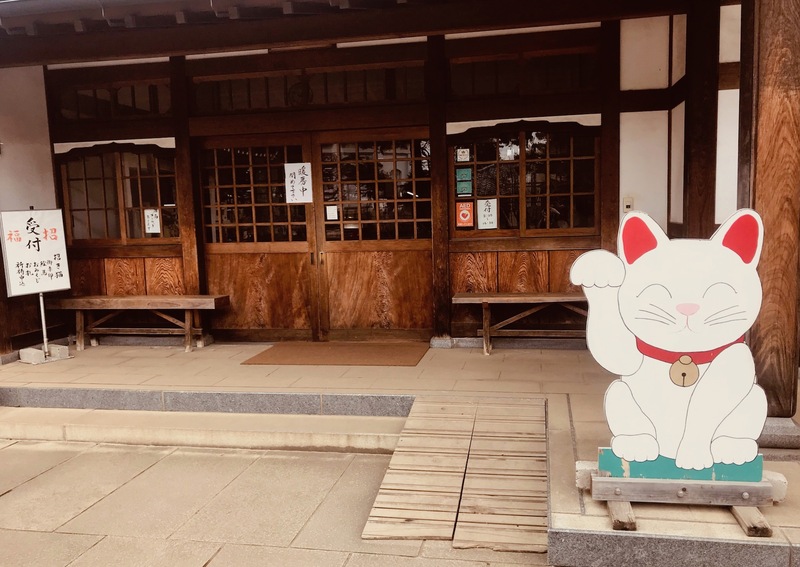 Tokyo’s Cat Waving Temple is just a 10-minite walk from Gotokuji Station on the Odakyu Line. The temple is free to enter and opens daily from 06:00-17:00, though the souvenir shop has reduced availability from 08:00-16:30.